Dave can be found on Chiseled in Rock, on personal and author Facebook pages, on Goodreads, plus tweeting here and there. Or Google “Gusto Dave” to track him down! Visit Janet at https://janetfogg.com, on Facebook, or drop by her YouTube channel. 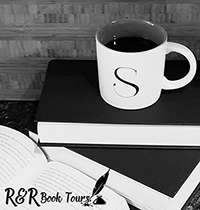 Stop by Misfortune Annie’s website for updates on future books! We start the story with Annie helping a Reverend and his churchmen get some donations to some hungry women and children. Unfortunately it is a setup and they were using Annie to help get them closer to rob the 3:10 train to Denver. While trying to stop the robbers, Annie get a glimpse of a winged man. It seems Annie has had a run in with the Locomotive Reaper and lived to tell about it. Of course she is recruited to help fight him in return for some potential information on her father. Sadly, Annie’s partner can find trouble faster than a clue and her next tangle with the Locomotive Reaper is going to be much more of a battle. This is a great story for any age. Annie is whip smart and a dead shot. She is willing to go along with the plan to stop the Locomotive Reaper to learn more about her father. Then she gets paired up with Beau Slokam and gets lead right into trouble thankfully her friend Wontoa is there to help out. 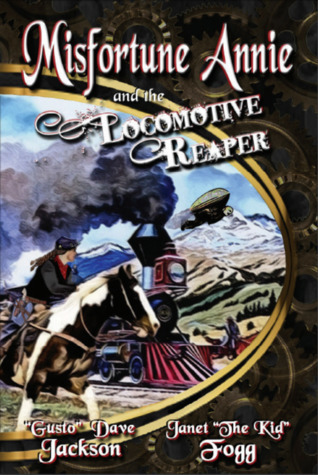 If you are looking for western action, train robbers, and a sharp shooter look no further. This story has a little of everything. I am definitely going to be looking into other books by Janet Fogg and Dave Jackson. I received Misfortune Annie and the Locomotive Reaper from Sami at Roger Charlie for free. This has in no way influenced my opinion of this book.